* If smoking occurs during your stay a $250 charge will be billed to your account. 1. Room rates are for single or double occupancy. 3. Rates may increase during special events. 4. Rates are subject to occupancy tax. 6. Extended stay rates available upon request. 7. Blackout dates may apply during special events. 8. Room reservations must be cancelled 48 hours prior to arrival to avoid a cancellation charge. 9. A $25 non-refundable deposit will be required for each reservation. 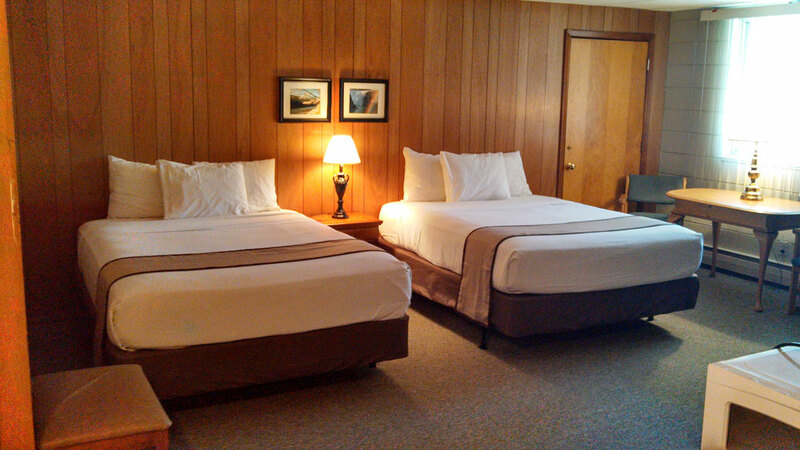 Amenities and Services:All bedding and bath linens are laundered especially for your stay. The room will be supplied with enough linens for the length of your stay. In order to keep our room rates reasonably priced we do not perform daily maid service, but is available upon request. Additional supplies/services are also available upon request.